There has been much discussion about the impact of ad blocking tools and their potential impact on ads and ad revenue; particularly regarding mobile devices, where consumers are spending more time and where marketers are turning their attention. The debate, however, should not be about how the industry should deal with ad blockers. Instead, advertisers need to start thinking about creating content that better appeals to consumers so they would not feel compelled to block out ads. 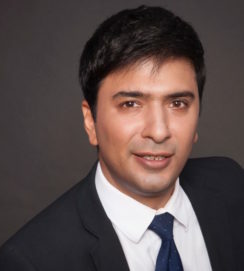 In this Q&A with ExchangeWire, Vikas Gulati, Opera Mediaworks’ Asia managing director, shares that the region’s mobile consumers are spending the bulk of their time within mobile apps rather than mobile browsers; hence, reducing the impact of current ad blocking tools. Amid the raging debate about ad blockers, Gulati underscores the need to push out ads that are non-intrusive and for the ad tech industry to find the balance between monetisation and delivering the right user experience. 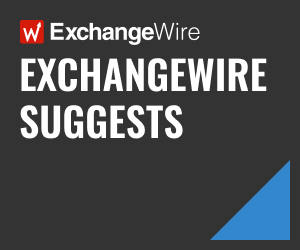 ExchangeWire: What kind of reaction are you seeing in the Asia-Pacific ad tech industry with regards to ad blockers? Vikas Gulati: First and foremost, I want to emphasise that ad blocking is not a new concept. It’s been around in the desktop world, so we need to look at the issue holistically from a user-experience perspective. On mobile devices, content is mostly consumed within apps rather than on mobile browsers. Apple’s ad-blocking feature only covers ad blocking on its own mobile browser, Safari. Content publishers can produce and offer great content only if they are able to successfully monetise it through advertising; which, in turn, is what most publishers depend on to fund their sites or apps. In order to keep this ecosystem going, consumers have to embrace advertising as a value exchange so they can enjoy a variety of high-quality media experiences for free or for deeply subsidised costs. In Opera Mediaworks’ State of Mobile Advertising Report for Asia-Pacific, second-quarter 2015, Apple iOS was found to have limited penetration in this region, where Google Android ranked as the top mobile platform. What the ad blocking debate brings to the surface, not just in the region but globally, is the focus on user experience. The mobile advertising industry needs to create ads and content that’s non-intrusive, interesting, and entertaining. With mobile fast becoming the go-to platform for advertisers and marketers, especially in the mobile-first Asia-Pacific region, should users be concerned about their mobile screens being riddled with unwanted pre-rolls and banner ads? Advertising dollars will certainly gravitate towards where the audiences are and the time spent on that media. What consumers deserve is a better experience. Publishers need to find relevant ways to monetise their content to ensure it appears seamless and less intrusive. In the industry, we’re seeing a shift towards native advertising, in-feed videos, and sponsored content. Opera Mediaworks’ Instant-Play HD video campaigns show that, when executed correctly, video completion rates can be as high as 90%, with click-through rates as high as 5%, and high engagement on end cards. This means consumers are willing to be engaged as long as the video ads are relevant to them and not intrusive to their mobile experience. The industry is seeing these changes now and is working together to find the right balance between monetisation and user experience. Isn’t this a particularly significant worry for users in some Asia-Pacific markets, where mobile data charges may be high or mobile broadband infrastructures are less developed? Wouldn’t autoplay mobile video ads be a nightmare in these markets? With the rapid adoption of smartphones, and data costs becoming more affordable in the region, it is the screen of choice to access the internet. Mobile users in Asia-Pacific consume mobile content almost as much as their global counterparts. In fact, 76% of mobile users in India, Indonesia, the Philippines, and Vietnam alone (what we call the ‘Power 4’ markets that lead in the region’s mobile ad growth) are accessing content via their mobile devices. Indonesia leads the pack with 93% of internet users consuming content on their mobile devices. In Vietnam, the average user consumes about 85MB per month of data on their mobile device, just shy of the global average of 90MB per month. The issue at hand is how we can deliver more targeted ads that add value, entertain the user, and deliver a great experience rather than stand in their way. So, it’s not necessarily about data costs as such. What do brands need to keep in mind when pushing their ads to Asian mobile audiences? Brands have everything to gain from mobile ads as their audience is moving to mobile at a very rapid rate. Smartphone adoption rates in Asia-Pacific have increased by 545% since the beginning of 2013. And both Vietnam and the Philippines have a high percentage of high-frequency users, or users that access mobile sites and apps five or more days a week. Our recent Native Video Ad study with comScore demonstrated that purpose-built, native video ads drove significant lift and outperformed mobile norms across key upper- and lower-funnel brand metrics. This proves, once again, that consumers are willing to engage with ads that are entertaining, relevant and non-intrusive. As brands approach this fairly new medium, they will discover that mobile is the best medium to effectively target the exact audiences they are trying to reach at the right place, and at the right time, because of its unique technological advantages over traditional media. With Apple now better enabling developers to build ad blockers, do you see a high adoption of these tools among Asia-Pacific mobile users? It’s still very early days to comment on the adoption rates of ad blockers. At this point, we see there is a need for balance. Publishers know that premium content can be monetised through subscriptions, while more generic content will always be ad-supported. If users continue to use ad-blocking tools, publishers will be compelled to slowly transition users from the mobile web to their app, where ad blocking doesn’t take effect. The mobile ad industry needs to find a way to balance this value exchange of content for advertising in the right way. How do you see ad blockers impacting the Asia-Pacific mobile ad industry in the near future? Today, consumers are spending more than 70% of their time inside apps, compared to mobile browsers. iOS penetration in most Asian countries is modest and ad blocking apps only affect mobile browsers, so we don’t see the sudden influx of ad-blocking apps deeply affecting the mobile ad ecosystem in Asia, or for that matter, globally. Advertisers also are already recognising that in-app ads are performing better and are giving them more value. The priority for the mobile ad industry now is to work with marketers and ensure we continue to create ad experiences that are more targeted, relevant, more seamless, and engaging to audiences. It is a great time to be in the mobile ad industry, we are at a unique time for the convergence of creative thinking and technology that is allowing us to develop experiences across so many devices and uses, including multi-tasking on the iPad, deep linking, and picture-in-picture.